Rarely offered character home built in approximately 1911...Owned by only 3 families in over a century. Home has been lovingly cared for & updated, featuring large living space with high ceilings on the main floor & up. Open design & updated extended kitchen with eating area, Large living & dining rooms with sliding doors to a large, 2 level deck along with additional family room. 4 large bedrooms up with 4 piece bathroom which has the original claw foot tub. 7' basement awaits your finishing ideas. Don't let 10th Ave address fool you. Living space is at back of the home & has lane access with additional parking. Almost 500 sf of deck & NW facing backyard. Close to great schools, parks, recreation & 4 doors from the Crest Plaza Shopping Centre with Choices Food Store, Pharmasave & much, much more there. 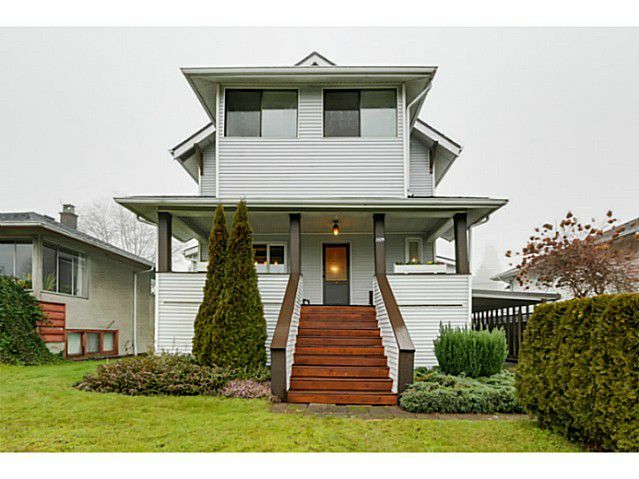 Minutes to New West & Coquitlam with easy access to Hwy 1. Own a little piece of Burnaby history here. Open Sun Jan 11, 2014, 2:00-4:00 PM.